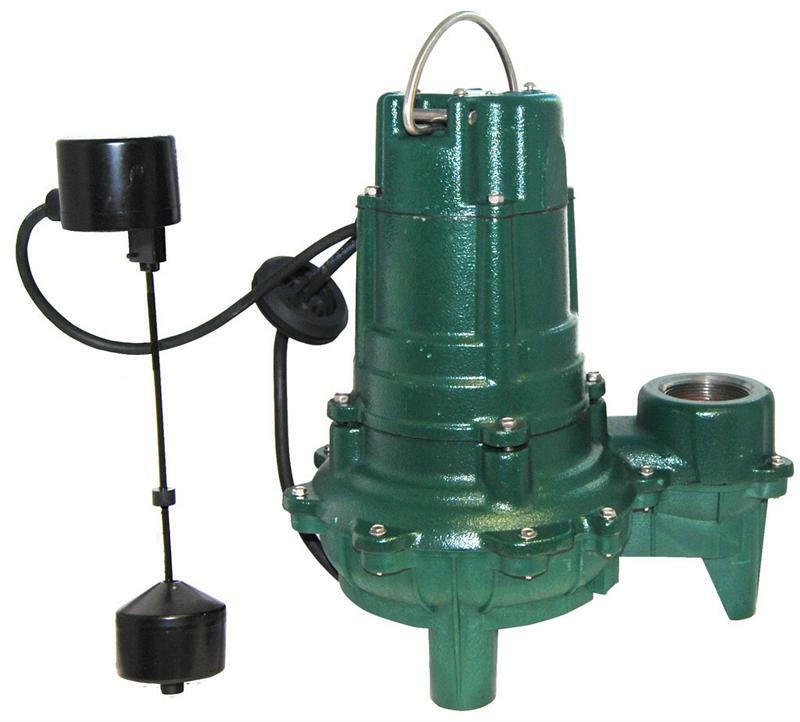 Float operated, submersible (NEMA 6) 2-pole mechanical switch. Durable cast construction. ASTM Class 25 Cast iron, switch case, and pump housing. Non-Clogging Vortex Impeller Design. Engineered plastic impeller with metal inserts. Not affected by materials normally found in drainage and sewage sumps. Stainless steel screws, bolts, handle, guard, and arm and seal assembly. UL Listed 3-wire neoprene cord and plug. 10 ft. cord . Square Ring & Gasket - Neoprene. Motor - 1/2HP, 115 VOLTS,10.4AMPS, 60 Hz, 1725 RPM, oil-filled, hermetically sealed, automatic reset thermal overload protected. Carbon and ceramic shaft seal. Corrosion resistant powder coated epoxy finish.